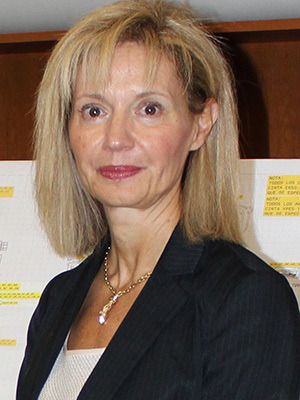 Olga Alavanou, BSEE ’88, has worked for Yazaki North America, Inc. for nearly two decades in various roles, including her current position as executive vice president for Ford, General Motors and Fiat Chrysler business units. Alavanou manages Yazaki’s electrical and electronic distribution business and is responsible for global customer strategy, development, engineering, quality and manufacturing planning. She joined Yazaki in 1998 as a sales manager in the GM Business Unit and advanced through the ranks, serving as executive vice president of supply chain management immediately prior to her current assignment. Alavanou’s 28-year career in the automotive industry began at Ford Motor Company, where she was a product development engineer. She was also part of the management team at Alcoa and United Technologies. Alavanou received her bachelor’s in electrical engineering from Wayne State University and her M.B.A. from the University of Detroit Mercy.